Most people in big cities rely on public transportation as their means of getting around, seeing that it’s just a hassle trying to maintain having a car or something else similar in a densely packed city. Indeed, using the subway or bus system is one way of traveling on the cheap, but sometimes you just need to hail a taxi cab to bring you to a location at a moment’s notice. 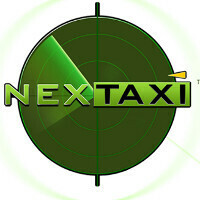 Well folks, that’s where the NexTaxi app comes to mind, as it offers users a safe and reliable way of tracking down a taxi in a city near you! During Pepcom’s mini trade show event held in New York City last night, we managed to get a quick tour of the just recently available app for Android, which basically helps you to obtain a legitimate taxi to your location. For those of you unaware about NexTaxi, the company has an established relationship with many of the taxi fleets across the country – in fact, the figure stands in at 10,000 vehicles littered across 100 markets in the US and Canada. With the app, users are able hail an on-duty driver that’s part of its legit fleet, thus, preventing any unwanted circumstances with some ‘rogue drivers’ that other comparable services might not be aware about. Even better, the NexTaxi doesn’t charge you for other hidden fees, like fare mark-ups, gratuities, and other premium, so you essentially just fork over the amount shown by the meter. Therefore, if you’re tired of raising your hand or whistling your lungs off to hail a cabby, you ought to give yourself a rest and check out the NexTaxi app. Currently, it’s available for Android devices, with an iOS version in development. You can check out the video below to get an understanding of what the app is all about.